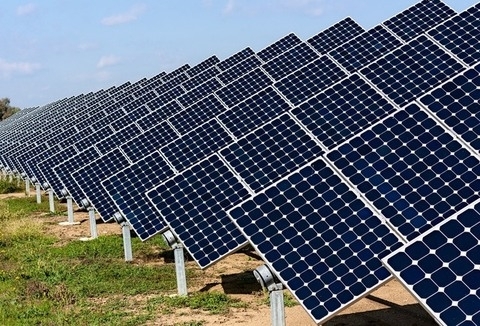 The People’s Committee of Binh Thuan province has approved in principle the construction of the Song Luy 1 solar power plant, invested by Quang Dien Binh Thuan Investment Joint Stock Company. Song Luy 1 is a large-scale solar power plant built in the form of build-own-operate (BOO). The total investment for the project is VND875 billion (US$38.4 million), with an operating time of 50 years. The power plant will have a capacity of 39MW and will use polycrystalline silicon photovoltaic technology and central inverter, which is connected to the national power grid through the 110kV connection line. The project was approved by the Ministry of Industry and Trade in the development plan of Binh Thuan Province for 2011-15 period, with a vision to 2020. Construction of the plant is expected to commence in June 2018 and will be completed in March 2019. It is expected that after the commercial operation begins, the Song Luy 1 plant will generate 75 million kWh of electricity in the first year. The plant will contribute significantly to the supply of clean energy, contributing to the economic and social development of Binh Thuan Province in accordance with the policy of developing the clean energy industry of the State in general and the province in particular. According to the development plan of the province, up to 2030, the total capacity of wind power plants will reach 2,500MW. The estimated capacity for thermal and solar power plants in the coming time is 10,000MW and 3,819MW, respectively.